0818365000 – Main Switch for Aer Lingus – 018868880 – Try calling and asking for the area you need. Great list. Use it all the time. Brilliant resource; one of these 1890 numbers cost me around €20 Euro to get my car insurance last year. This year it cost me nothing using this list of alternative numbers! This website has saved me a fortune on calls as most people now have bundle packages which only include local and national calls so all those 1890 calls are an extra charge which will include in your phone bill. I use this website all the time and especially if renewing my car/home insurance. Absolutely brilliant site, especially if using a mobile phone to call an 1890……. number. I have passed this site info on to so many friend and they are all amazed. Well done. What is the number for Aer ,for Aer sports in stead of 0818203040? This is an incredibly valuable consumer resource. I can’t believe that more people don’t know about it. I also can’t understand why companies push their customers to make chargeable calls when more and more people have bundles and packages that include all national calls. It really is not customer-friendly and I can only assume that companies are getting some kick-back in some form or another. 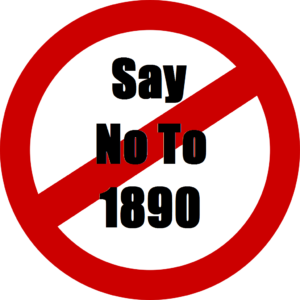 It should not matter to them at all, yet they so many of them push their customers to theses 1890 etc numbers. I have not found an alternative to 1890717717 so far & I see others are looking for one. I have called Irish Life 1890714444 four times in the last 48 hours each call lasting on average 30 mins and have been left hanging on. If anyone has any advice to offer please do. From the Irish Life website, you could call this Cork number instead assuming you’ve free minutes bundles. Or they have a call-back option on their site as well.